Are you ready to upgrade your home flooring and appearance with elegant flooring? Hardwood flooring upgrades a home in a style that appeals to any design aesthetic. Our flooring store carries hardwood of all types including engineered and solid styles. We carry countless flooring options so let our knowledgeable floor expert help you find the hard wood floors that best fit your needs for lifestyle, performance, and price. Invest in hardwood flooring that is able to withstand a lifetime of wear. Find the wood floors you seek in our appealing showroom from today’s leading manufacturers. Let our flooring professionals help you select the shade and type of floor that will work best for your home. Our flooring associates are more than happy to answer all of your questions and help you find hard wood floors that suit your lifestyle. Solid Wood Floors— Select the unrivaled elegance of solid wood floors for a dramatic appeal that showcases fine art, furniture, and décor. These floors are made from solid hardwood chunks that last for decades. If your floors start to wear out, a professional can sand them down for you. 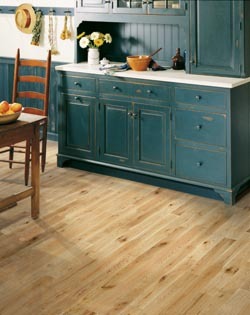 This flooring can be refinished, even with a different color stain, for a home makeover that revives its sheen. Engineered Wood Floors— Choose a strong, durable flooring material that resists humidity. Comprised of multiple layers, this flooring style is manufactured with active households in mind. There are grain patterns and finishes to match every design aesthetic. Opt for engineered wood—particularly for a kitchen or bathroom—if you live in an area with high humidity and extreme temperatures. Trust in our certified professionals to install hardwood floors throughout any room in your home. We have the skills and experience to remove your existing flooring and replace it with the hard wood of your choice. Our highly trained and experienced installers always produce exceptional results. Contact us today at <PHONE> to schedule your free measure with our floor expert concerning your hardwood flooring purchase. We sell and install residential and commercial flooring to customers throughout Rocklin, Lincoln, Loomis, Roseville, and Granite, CA, as well as the surrounding areas.